Yep, you read that right! Chickpea cookies! Cookies made from chickpeas! I had seen a few variations of this recipe online before but was always sceptical. I’ve had quite a sweet tooth recently and so has Harry. We had a can of chickpeas in the cupboard so, inspired by online recipes, I decided to have a play and see what I could make. I was amazed by the end result. So easy to make and they don’t taste at all like chickpeas, just cookies! 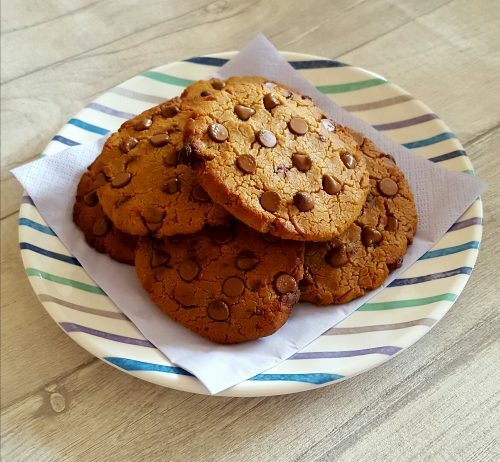 My fussy husband usually hates my ‘creative’ makes in the kitchen but even he just thought they were normal cookies and enjoyed it, so for anyone looking for a healthier alternative to cookies and looking to get extra protein into their child’s diet I’d definitely recommend giving these a go! Drain, rinse and pat dry the chickpeas. Put the chickpeas, peanut butter, maple syrup, vanilla essence and baking powder in a food processor and blitz until it forms a smooth dough. Add most of the chocolate chips to the food processor and pulse to roughly mix them through the dough. With your hands, split the dough into 6 pieces, roll into balls and then press flat onto a lined baking tray. Do you think you could use raisins instead of chocolate chips? For younger children/babies I’d recommend smooth just so they’re less likely to choke. With older children or for yourself you could use crunchy though! Is there a substitute for peanut butter – nut allergy?! I’ve never heard of chickpea cookies! Your recipe sounds perfect: quick, simple, few ingredients. Love it! 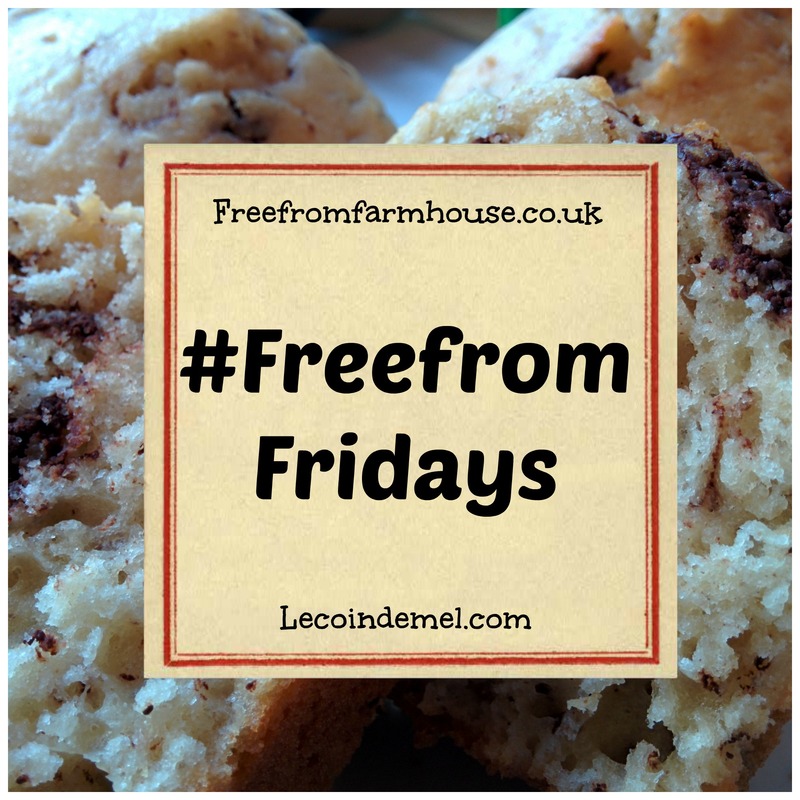 Thanks for joining in with #FreeFromFridays. My 16 month old son loved these so much he ate them all in 1 afternoon! In an air tight container for up to 3 days.